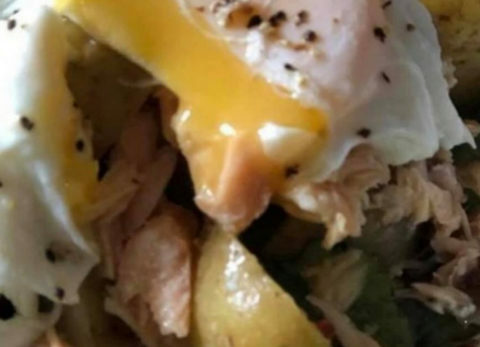 When the weather is getting warmer there is something about serving a nice side salad alongside your chicken or BBQ foods. 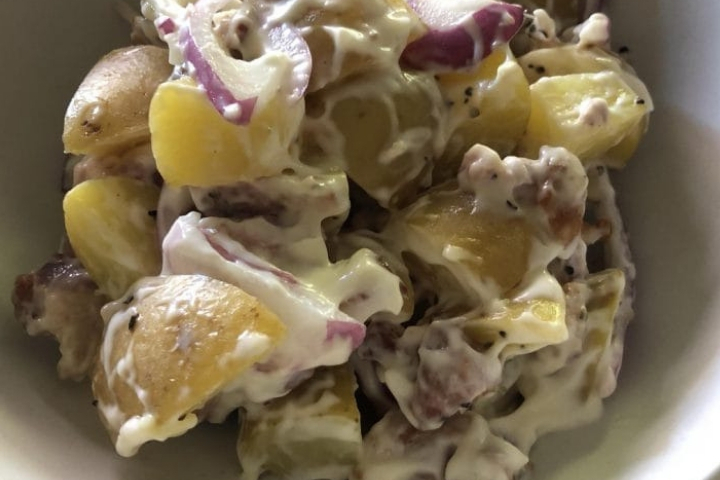 This is my recipe for quick and easy home-made potato salad that is a firm family favourite. A dish that is so simple any non cook could easily prepare it! Cut the new potatoes into four and boil in salted water until cooked. Place a bacon in a dry frying pan and cook until crispy. Allow the cooked potatoes and bacon to go cold. They can be prepared a few hours in advance. Mix together the crème fraîche and mayonnaise and the ground black pepper. Makes all the ingredients together and place In a serving bowl. The potato salad makes a nice compliment to steaks, chicken, barbecues and picnics.